Al Gharbia, the Al Dhafra Region of Abu Dhabi takes pride in its topography, which features a stunning coastline and some of the tallest sand dunes in the world. By harvesting the advantages of the location, Abu Dhabi Ports is developing and operating key infrastructure, tourism and other economic development projects in the region. This portfolio includes four out of our five community ports, which support the oil & gas sector by offering general cargo handling, support logistics and passenger ferry connections. Barring the Shahama Port, which is located near the city of Abu Dhabi, all the other community ports are located in the Al Dhafra region – namely, Mugharraq, Delma, Al Mirfa and Al Sila Ports. The ports also play a vital role in serving the local fishing industry, providing jobs for the local communities and facilitating the current redevelopment on the surrounding islands. Located 240 km from Abu Dhabi city, Mugharraq Port is located on the mainland facing Sir Bani Yas Island. 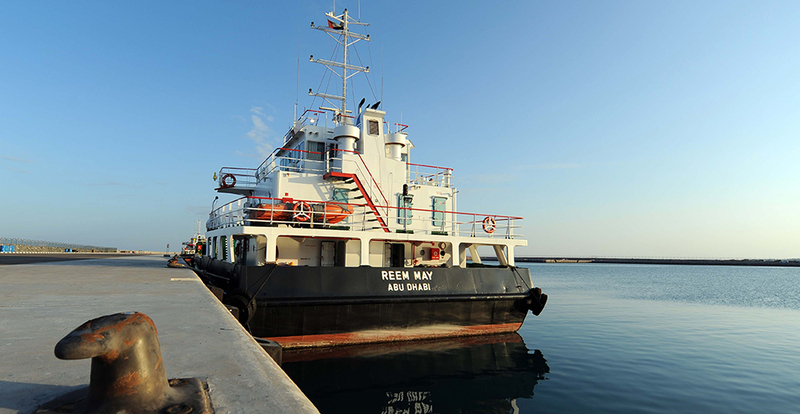 Currently, the port offers general cargo handling facilities and supports ferry and logistics connections to Delma Island and Sir Bani Yas Island. With six RoRo berths, the port will benefit from the overall redevelopment masterplan for the Al Dhafra Region ports, including additional slipways, building of a revetment for shoreline protection, deepening of the port basin, installing an additional quay wall, and the modification of the existing landing ramp. 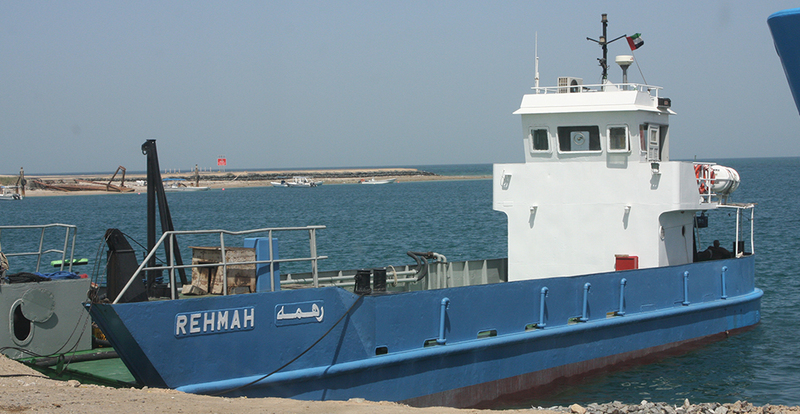 Delma Port, is strategically located on the east side of Delma Island, and has recently upgraded its facilities to serve as a general, multipurpose port to handle cargo, passenger ferries and fishing vessels. It features a 300-metre berth for general break bulk cargo vessels and covers a total area of 280,725 m2, with 58,500 m2 of pavement for easy transport. It also features an accessible breakwater with a platform to integrate the operations of ferry terminal and CICPA facilities. 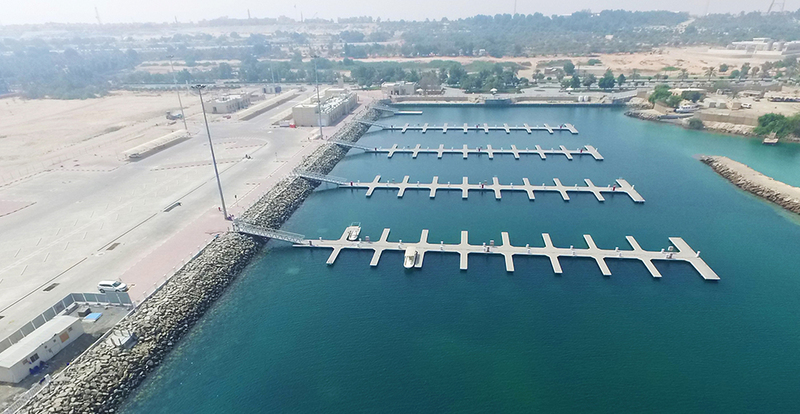 A marina with 280 boat slips, 160 wet berths and 104 dry berths for fishing and recreational crafts supports the local boat industry, while other facilities include an administration building, a fish market, a restaurant, a sheltered storage area for fishing equipment and an ADNOC Marine fuelling facility. Located 125 km from Abu Dhabi city, Al Mirfa Port was the first port dedicated to supporting the local fishing industry and community in the Emirate. The port’s infrastructure was upgraded to include a breakwater to protect the port from strong currents, new berths for fishing and leisure vessels, as well as dedicated space for retail and small local businesses. Other facilities include pontoons capable of accommodating 140 fishing boats and leisure ferries, a multi-purpose administration building, a modern restaurant, shaded car park, a dedicated fish market as well as two plots for maintenance companies and spare-part vessel suppliers. The port also features a dedicated plot for small businesses and an ice making plant that caters to fishermen and the overall needs of the community. Located 350 km from Abu Dhabi city on the western coastline, the Al Sila Port is the largest public marina in the Emirate. This community port provides cargo services, supports the local fishing industry and offers recreational activities. 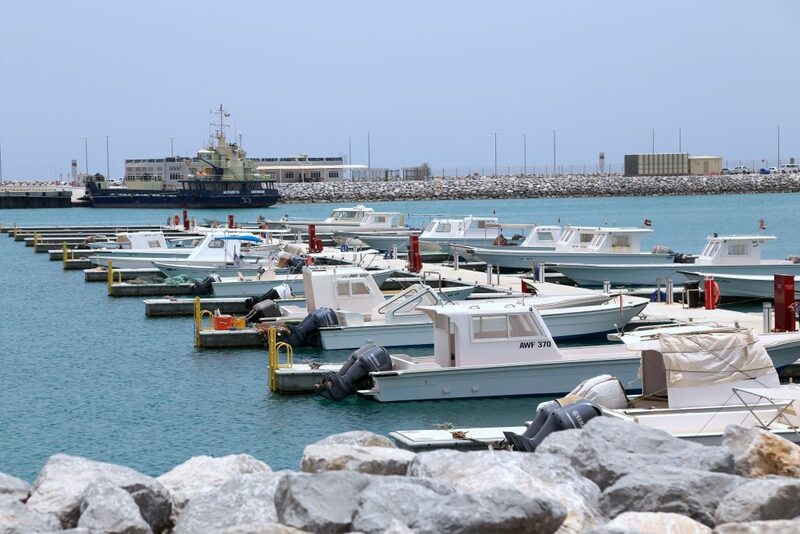 Recently, facilities for the fishing community were upgraded as part of Abu Dhabi Ports’ overall redevelopment plan for the Al Dhafra Region ports and future development plans include enhancing the cargo handling facilities.